Caves Velhas elaborates this Cabeça de Toiro Reserva , a white wine from the region of Tejo of the best of touriga nacional and castelão frances grapes. 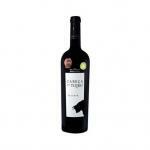 The Cabeça de Toiro Reserva is the ideal white to combine with white meat and red meat. Uvinum users reviewed this white wine with 4 of 5 points. 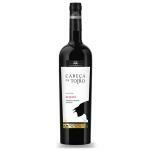 What's the evaluation of the Cabeça de Toiro Reserva? What are the opinions of other vintages or volumes of Cabeça de Toiro Reserva?